The Tidal Influence team leads wetlands restoration in Los Angeles County and Orange County. We believe in a community-based restoration approach to educate the public and inspire future generations of environmental stewards. Regularly scheduled events are hosted at Los Cerritos Wetlands and Colorado Lagoon. The Los Cerritos Wetlands (LCW) comprise approximately 550 acres of the historic 2400 acres of various habitat straddling the border between Long Beach and Seal Beach. LCW has long been identified by local activists and government officials as one of the most important coastal conservation focuses remaining in southern California. Belding's savannah sparrow resides in the LCW pickleweed patches. 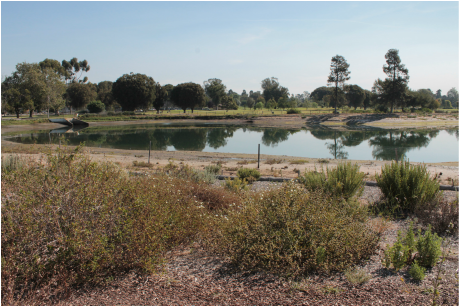 The Colorado Lagoon is an 18 acre urban wetland that through the efforts of a coalition of concerned citizens, Friends of Colorado Lagoon (FOCL), the City of Long Beach, and Tidal Influence has improved water quality, restored native vegetation, and increased wildlife activity. Currently, the Colorado Lagoon is undergoing a multi-million dollar wetland restoration to create an open channel between the Colorado Lagoon and Alamitos Bay.